MRO capabilities deployed across GEnx overhaul and maintenance operations. Credit: AFI KLM E&M. AFI KLM E&M has secured a contract to provide aircraft maintenance services to Vietnam Airlines. Under the contract, AFM KLM E&M will oversee maintenance of Vietnam Airlines’ 787 GEnx engines for 12 years. The carrier’s fleet of Boeing 787s is expected to grow to 19 aircraft by 2021. Additionally, AFI KLM E&M will provide spare engine access for Vietnam Airlines to ensure the continuity of its operations. Vietnam Airlines president and CEO Duong Tri Thanh said: “This agreement with AFI KLM E&M is of significant importance to Vietnam Airlines, which further enhances our time-honoured partnership in a wide range of areas. “From our previous successful collaboration on component support for Vietnam Airlines’ 787-9s and during the first quick-turn shop visit operations carried out on the GEnx, we have full confidence in AFI KLM E&M’s abilities to guarantee the smooth operations of our Boeing 787-9 aircraft and fleet in general. 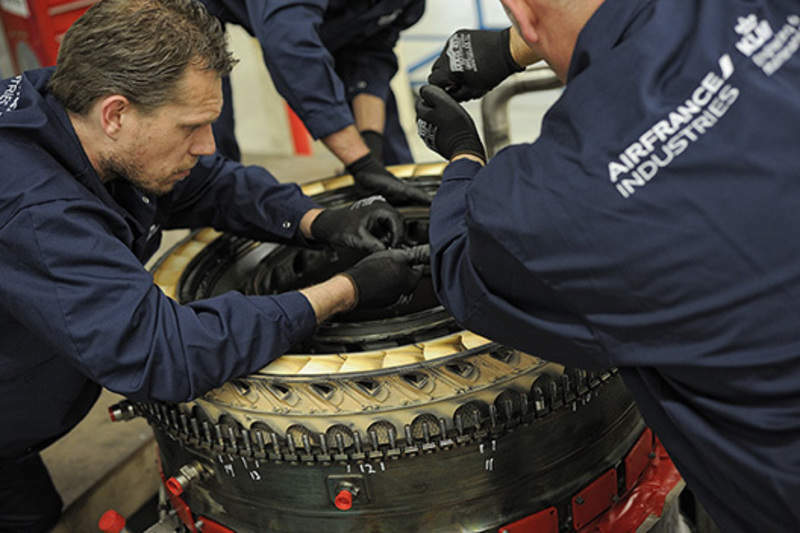 Within this partnership, AFI KLM E&M will deploy its maintenance capabilities across the complete range of GEnx operations, including overhaul and test services, on-wing / on-site support, and part and engine module repairs. AFI KLM E&M also supported the flag carrier in maintaining its GE90s, another widebody engine with a design similar to the GEnx. The company is a unit of Air France Industries KLM group. Air France and Vietnam Airlines have been working on the operational side since 1994. In October, the companies signed a strategic partnership to optimise operational efficiency, service quality and expertise in technical maintenance of aircraft equipment.